Treat yourself to the centre cut prime quality fresh Salmon fillet this Friday. 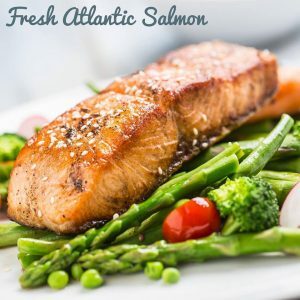 Our Atlantic Salmon Portions are individually vacuum packed ready to cook for your convenience. Shop our Atlantic Salmon Portions Skin on Boned here. Finest Quality Seafood delivered straight to your door.